You sitting on the patio overlooking the gardens that you have put everything into for the past 2 months. The sun beating down as you sip on a cool glass of lemon water. 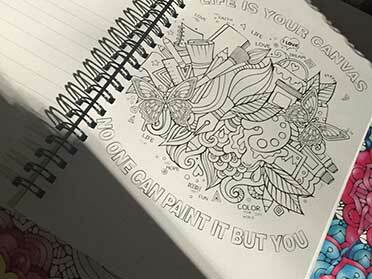 Pencil crayon in hand, you put lead to paper and begin colouring in your NEW adult colouring book. It’s such an amazing stress reliever!